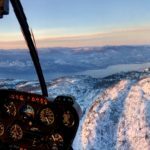 Here in the Okanagan, Ikon Adventures has made a name for itself on providing memories and experiences that leave a lasting impression for our passengers. 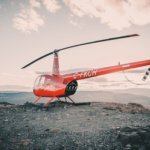 With the immense growth in business and infrastructure throughout the Valley, many companies require a helicopter to reach their destination or facilitate operations throughout the year. While we love taking passengers on the rides of their lives, we are also passionate about growing our business and those around us by using our assets to meet their needs. 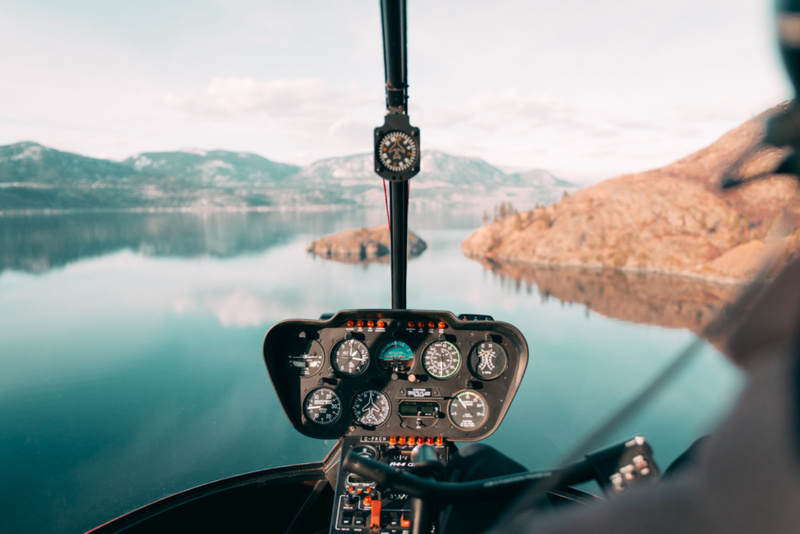 From drying cherries in the summertime for world class farmers, to the businesses that rely on a helicopter to get crews to a worksite, Ikon Adventures is the trusted team that makes it all happen. Take a tour of our extra operations at Ikon that help local businesses continue making the Okanagan truly exceptional. 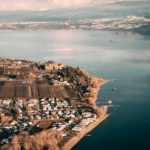 The Okanagan Valley is a place like no other. Having flown into every accessible outlook worth visiting, we can account for the natural beauty here firsthand. 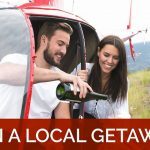 Kelowna is burgeoning for its city life, there are premier ski resorts nearby for winter fun, and the outskirts is covered with farmland and acreages literally awash with the fruits that bring tourists by the busload to enjoy from the source. The sheer density of life’s greatest pleasures is the most stunning aspect that we cherish in living here. 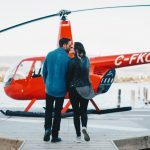 It should come as no surprise that film companies see that same value in selecting our city as the home for their sets, or that aerial photography here is especially worthwhile with the scenery found everywhere making any shot stand out. 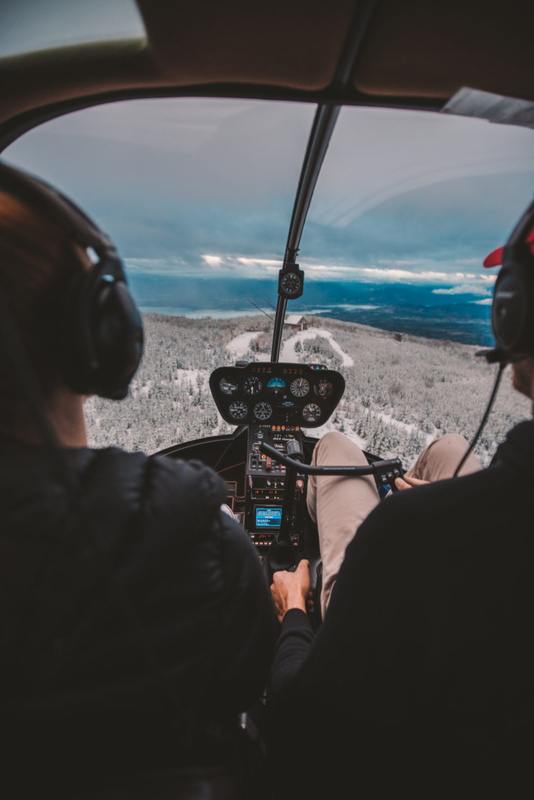 Recently, we took a land developer up to the skies to scout out locations for future housing in the area. Seeing the land as you coast overhead can reveal the hidden value in areas that you couldn’t appreciate from ground level. Forests and other obstructions can make it difficult for any surveying without the help of a pilot to take you to the ideal height for spotting a gem in the sea of nature. Summers in the Okanagan are especially hot and dry compared to the rest of BC, but that’s what makes our fruit and beaches the best too! Fruit farmers need to keep conditions dry to produce their best product, so we often take our chopper over that farmland to blow away the excess water damaging that fruit. If you’ve ever seen our chopper in the middle of an acreage hovering in spot, it’s probably because the cherries are in need of some strong wind to keep everything growing to perfection. Ever wonder how work gets done on cellular towers? Some can measure as tall as 2000ft, typically those outside residential areas. When crews need to perform maintenance on these behemoths, they call Ikon Adventures to get down (or up) to work. 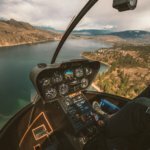 With our proven experience for safe and reliable flights throughout Canada’s unique land, they know who to call. Being #IKONIC is our end goal for our tours, and that carries over outside of our tours as well. 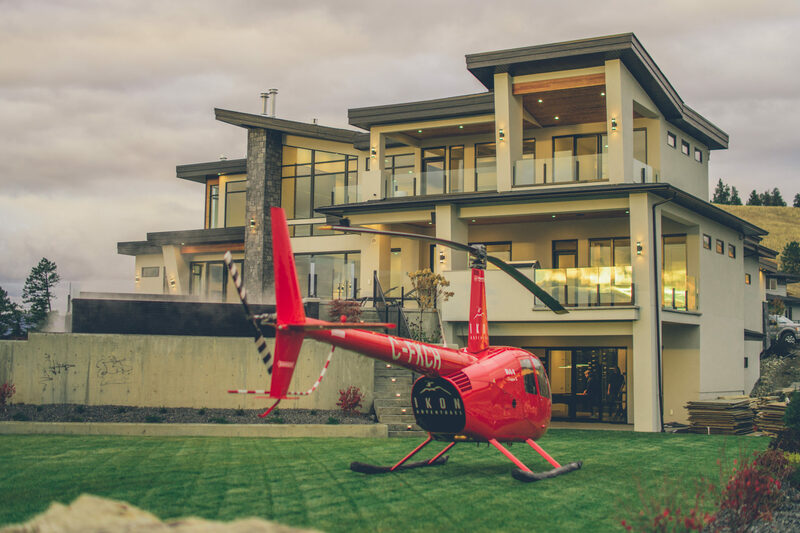 No matter the location or duration, our chopper is at the beck and call of the Okanagan Valley, working to ensure that this place is constantly developing in any way we can. Have you had the flight of your life yet? 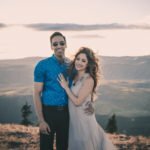 Contact Ikon Adventures and let us handle the preparations!